TPC Overall Rank: #277 out of 2933 rides. In User Top 10: 5 times. User Tracker Count: 172 times. the ride is crap but the bridge is perfect. Interesting shoot the chute ride, though it pales in comparison with Pompeii. The first half was very unique as I havent been on any other shoot the chutes with a river section like that. The drop was one of the better ones Ive experienced on Intamin ones, but I still prefer Hopkins drops. Same with the splashes, but I still got soaked. Soaking Fun!!! Bring it on!!! This ride isnt bad, its just slow. Nothing happens until you reach the lift. Then it goes up and down and its done. 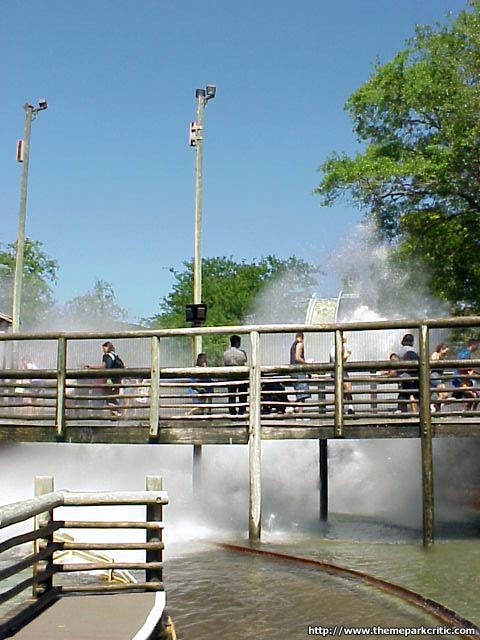 The splash it makes is huge and gets everyone completely soaked! Its fun to watch or stand on the bridge, too. Only ride if the wait is less than 15min. 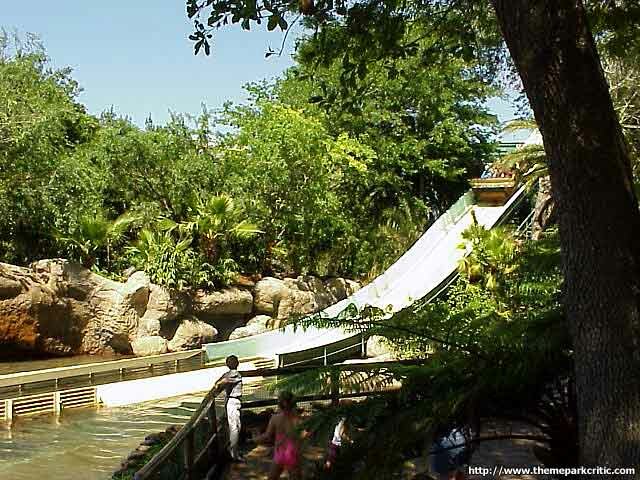 Its not the best water splash boat type ride,wish they could have put in as much themeing as they did in escape from pompei.But it still gets you pretty wet.If the wait is longer then 15 minuntes you might as well just stand on the bridge. Great drop, the rest is pretty bad, you will get wet, they arent kidding. great ride! gets ya really wet, and it is nice on a hot florida summer day! 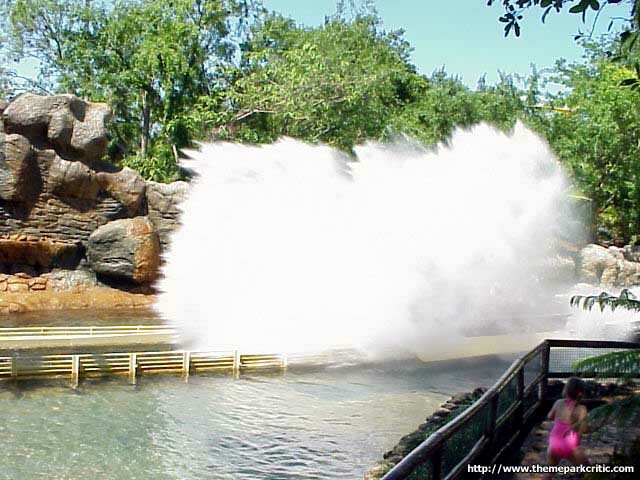 This ride is great on hot days and cold days alike because you get absolutely soaked!!! Makes Splash Mountain seem like a trickle of water! Very easy to compare to River adventure. I think theyre about the same ride. The village was boooring! The pictures on the wall with the huge cliff and the boat falling off were hilarious. Great drop; you get really wet. So-so ride. 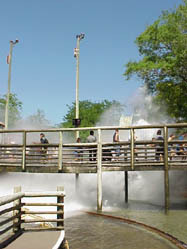 I thought this rides theming was decent: theres an entire African village that you go thru before you take the plunge, but this ride gets you unbelievably SOAKED, and I prefer not to walk around in soggy clothes and sneakers all day, even if it is 90 degrees.